Mike got his BA in psychology and philosophy at the University of Michigan and then went on to UC Berkley where he got his PhD in psychology. Mike's interests are in the general areas of comparative cognition and animal learning. He uses the results of behavioral experiments to make inferences about the systems controlling simple behavior and behavioral change. 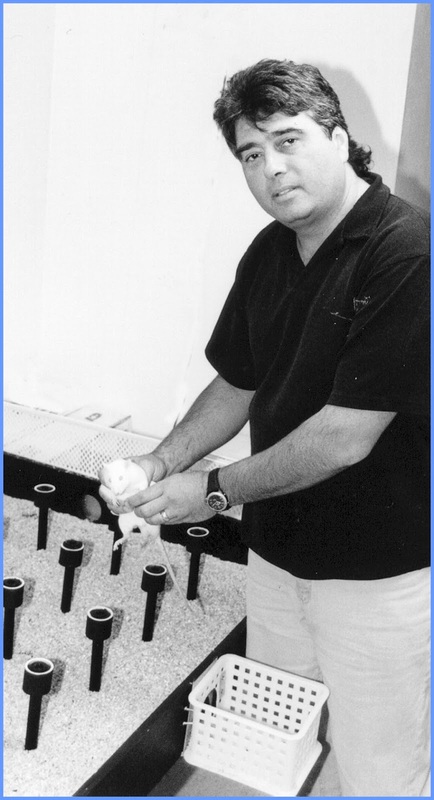 During the past decade, his efforts have been focused on spatial memory in rats and bees. Mike and his students have studied rats in several laboratory procedures, including the radial-arm maze. They are interested in determining the nature of the representations and decision processes used in spatial tasks. Their bee research centers on working memory for spatial locations in honeybees and bumblebees. This work has been supported by grants from the National Institute of Mental Health and the National Science Foundation. We talked about a bunch of stuff including what got Mike into the field, working with Al Riley, and Mike's work on same different learning in bees and social learning in rats.